Congressional attention toward the status of nuclear technology in the Middle East has increased following recent reports that the Trump Administration and the Department of Energy approved the limited sale of nuclear technologies by American companies to Riyadh for cooperation in building several nuclear reactor projects. This conversation comes after decades of regular concerns within the Gulf and the greater Middle East of Iran’s growing nuclear capacity. However, recently in March, this conversation shifted inward as certain Gulf nations criticized their own neighbors’ nuclear capacities, as evidenced by Qatar’s worries over the environmental impacts of a nuclear plant in the UAE. This exchange evidences that the proliferation of nuclear technology in the Gulf is a newly emerging challenge gaining regional and international prominence. As it pertains to this recent Saudi case, based solely on Congressional reaction one would not be guilty for thinking the Kingdom of Saudi Arabia was on the verge of developing advanced nuclear capabilities. In the wake of the announcement, a bipartisan group of legislators demanded answers and information regarding President Trump’s and Secretary Perry’s logic concerning the sale of nuclear technology to Riyadh. While legitimate concerns remain as to the potential for a nuclear-race in the Gulf and greater Middle East region, these genuine concerns are obfuscated by Congress’ recent inability to view U.S – Saudi relations through a lens that is not unduly focused on last October’s tragic murder of Jamal Khashoggi. Despite the Congressional outcry following this U.S. support to the Saudi nuclear program, it is not yet clear the extent to which President Trump may or may not have overridden legal limits concerning the Executive branch’s ability to offer this type of support to Riyadh’s nuclear program without the legislative branch’s oversight. According to the former Director for Nuclear Inspections at the International Atomic Energy Agency (IAEA), Robert Kelley, three months after Saudi Arabia announced plans to obtain nuclear technology, satellites images indicated Riyadh had accelerated work on an experimental reactor that could be completed in 9-12 months. Despite this seemingly short timeframe, other experts calmed public concerns by suggesting that the Trump Administration’s actions do not deviate from what is routine for international sales of nuclear technology. Given that these transactions followed standard procedure, rather than speaking to significant concerns over Saudi Arabia’s pursuit of nuclear technologies, Congress’ response mainly evidences the wide-ranging damage Saudi Arabia inflicted upon itself as a result of the murder of Jamal Khashoggi. For members of Congress looking to reassert the Legislative branch’s authority in foreign policy matters, the international scorn leveled at the nation following the journalist’s murder has cast Saudi Arabia as a nation that’s connections to the Trump Administration are a politically safe target. Ultimately, the Congressional outcry over these approved contracts shows that for the foreseeable future due to the murder of Jamal Khashoggi, “Saudi Arabia” has become a toxic association for the Trump Administration that will continue to motivate scrutiny from lawmakers and impede cooperation between Washington and Riyadh, however benign or advantageous such cooperation may be. From a purely objective stance, Riyadh’s quest to diversify its energy sources is in line with the economic factors facing the Kingdom. Saudi Arabia needs to find other sources of energy to generate electricity as the nation consumes nearly 25% of the oil it pumps from its own wells to generate electricity and power its desalination plants. Therefore, the Kingdom’s efforts to invest in renewable energy, such as solar power and nuclear technology are an understandable facet of a diversification strategy to lower the nation’s domestic consumption of its own oil. The prospect of the U.S. selling nuclear technologies to Saudi Arabia to aid in this goal was first indicated in 2017 when Riyadh sent preliminary feelers to nuclear vendors from several nations, including China, Russia, and the Pennsylvania-based Westinghouse Electric Company. Complicating this proposed American bid is that Saudi Arabia and the United States are not privy to a “123 Agreement,” an aspect of the U.S Atomic Energy Act of 1954 that requires recipient nations of American nuclear technology to limit their nuclear activities to peaceful purposes. Since at least March 2018, the Trump Administration and Saudi officials have been negotiating such an agreement, however the Saudi’s resistance to any stipulation over their ability to enrich their own uranium has emerged as an apparently insurmountable sticking point. A year after these efforts began, in March 2019 Secretary of Energy Rick Perry confirmed to Congress that the Trump Administration had signed “Part 810,” documents offering approval for a preliminary nuclear deal with Saudi Arabia. Importantly, ‘810s’ are limited in scope, giving companies approval only for “preliminary work on nuclear power ahead of any deal to build a nuclear power plant.” By definition, “Part 810s” do not allow for the sale, construction or transport of any nuclear equipment or materials. Still, allegations that 810 approval had been done in secret, without a completed 123 agreement or Congressional approval brought about the chagrin of members of Congress from both sides of the political aisle. Among the primary complaints of Congress is the supposed secrecy that characterized the granting of these 810s. In a letter to Secretary Perry, Senators Marco Rubio (R-FL) and Bob Menendez (D-NJ) told the administration, “The opacity of this process…has only served to fuel concerns among members about the nonproliferation risks associated with the Saudi nuclear program.” In defense of legislators, 810 agreements usually are made accessible to the public, and the partial secrecy surrounding the deals recently approved by Secretary Perry arouse forgivable suspicion. However, Perry countered these complaints saying that the companies involved requested privacy due to the agreements containing the proprietary information of the companies involved. Also bolstering the position of Perry are confirmations from the Nuclear Regulatory Commission (NRC) that the institution was indeed consulted about the Saudi-approvals prior to their having been granted. Aside from these complaints about transparency, members of Congress immediately jumped to connect last October’s murder of Jamal Khashoggi with their reservations regarding the Kingdom’s nuclear capabilities. California Congressman Brad Sherman (D-CA30) most viscerally evidenced this mistrust, tweeting to his followers, “A country that can’t be trusted with a bone saw shouldn’t be trusted with nuclear weapons.” Sherman has gone on to introduce H.R 1471, a bill that would make all U.S-Saudi nuclear cooperation subject to Congressional approval. Virginia Senator Tim Kaine also expressed reservations over the 810s due to the murder of Jamal Khashoggi, asking Perry during a hearing if the approvals for Saudi Arabia came before or after the journalist’s death. Perry maintained that he was unable to remember. Adding to Legislators’ skepticisms were expressed fears that approval of these nuclear reactors could lead to Saudi development of a nuclear bomb. Although Saudi Crown Prince Mohammed bin Salman has maintained Saudi Arabia is pursuing the technologies only for peaceful energy purposes, the young leader did himself no favors when he told reporters his nation would pursue a nuclear weapon in the event Iran was able to do the same. With this context, two 2020 Presidential candidates Elizabeth Warren and Tulsi Gabbard publicly denounced selling nuclear technology to Riyadh. Given the heightened nuclear stakes of these concerns, it is important to examine whether the agreements approved by the Trump Administration would ultimately lead to a nuclear-armed Riyadh. Ultimately, to the chagrin of many in Congress, in spite of the secrecy surrounding the deal, the actions of the Trump Administration do not appear to be out-of-line with precedent for the processes required by the international sale of nuclear technology. However, the increased resentment among lawmakers directed toward the internal policies and regional miscalculations of the Saudi Crown Prince seem to be driving the Congress’s efforts to block U.S. help to Riyadh’s nuclear program. Lawmakers have lost significant trust that this long-time ally would not move to develop a nuclear weapon, consequently leading to a nuclear arms race in one of the world’s most contentious regions. Understandably, if Tehran and Riyadh pursued plans to develop a nuclear bomb, Ankara and Cairo will most likely follow them. In contrast to lawmakers, nuclear experts have shared a less pessimistic view of Saudi Arabia’s path to a nuclear weapon. Former Obama-era Assistant Secretary of State for International Security and Non-proliferation Thomas Countryman argued that whatever information has been provided to the Saudis thus far does not constitute a legitimate risk that the Saudis are close to possessing technologies that will lead to the development of a nuclear weapon. In the wake of Congressional outcry, Countryman commented “It’s unlikely that these [part 810s] would have contained any sensitive information that would be helpful if the Saudi intention was to pursue nuclear weapons.” Such comments bolster the argument of Perry, who told Congress that these most recent approvals only accounted for six of thirty-seven “810s” had signed since assuming the position in 2017. Despite the reactions of lawmakers, Riyadh is not on the verge of developing a nuclear weapon. What Congressional reaction does indeed indicate however is that policy surrounding U.S.-Saudi relations is not currently being viewed independent of the heinous murder of Jamal Khashoggi, and Democratic politicians seem to be betting that public criticisms of Saudi Arabia will allow them to draw contrast with President Trump in a way that resonates with an equally disgusted American public. This was echoed with last month’s passing of a War Powers Resolution that challenged the President’s support of ongoing Saudi military operations in Yemen that have resulted in numerous civilian casualties. In the case of these nuclear negotiations however, it is worth asking if preventing a U.S-based company from selling nuclear technology for peaceful use by Saudi Arabia is in fact an appropriate way to send a message to the Kingdom regarding its missteps, especially when such international deals are pivotal for the reemergence of Westinghouse, a Pittsburgh-based company that has only recently emerged from a shaky period of bankruptcy. Until President Trump and Congress are able to agree to a satisfactory response that signals to Saudi leadership that the murder of Jamal Khashoggi was unacceptable, an unsatisfied Congress will continue to complicate any cooperation with the Kingdom, however advantageous such cooperation may be. Matthew Daly, “Energy Secretary Rick Perry Approves Deal to Sell Nuclear Technology to Saudi Arabia,” Time, March 29, 2019. Geert De Clercq, “Exclusive: Qatar Asks IAEA to Intervene Over ‘Threat’ posed by UAE Nuclear Plant,” Reuters, March 20, 2019. Tim Lister and Tamara Qiblawi, “Saudi Nuclear Program Accelerates, Raising Tensions in a Volatile Region,” CNN, April 7, 2019. Sylvia Westall, Rania El Gamal, Stephen Kalin, “Saudi Plans to Invite Bids for Nuclear Power Project in 2020: Sources,” Reuters, April 4, 2019. “The U.S. Atomic Energy Act Section 123 At a Glance,” Arms Control Association, April 2019. Zeeshan Aleem, “Saudi Arabia’s Controversial Quest for Nuclear Power, Explained,” Vox, March 26, 2018. 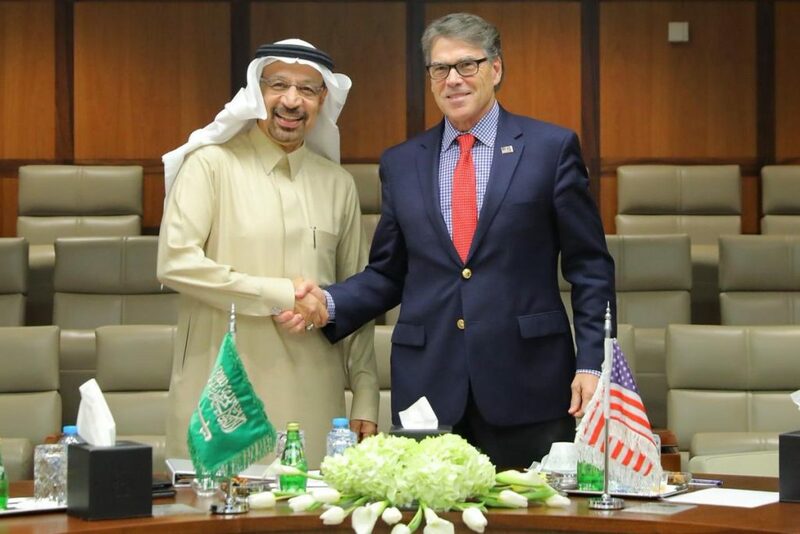 Matthew Daly, “Energy Chief Perry Oks Deal to Share Nuke Tech with Saudis,” The Washington Post, March 28, 2019. Rebecca Kheel, “Senators Press Perry on Nuclear work with Saudi Arabia,” The Hill, April 2, 2019. Conor Finnegan, “Lawmakers Concerned about Trump Administration’s Authorization for 6 Nuclear-related projects in Saudi Arabia,” ABC News, March 28, 2019. Steven Mufson, “Nuclear Regulatory Commission Staff were Consulted On Sharing Nuclear Information with Saudi Arabia,” The Washington Post, April 3, 2019. Timothy Gardner, “U.S. Energy Secretary Unsure if Saudi Nuclear Approvals Came After Khashoggi Killing,” Reuters, March 28, 2019. 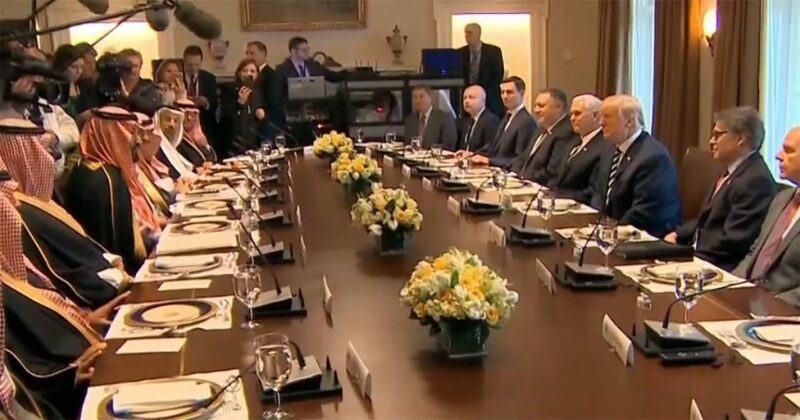 Steven Mufson, “Trump Administration Authorized Nuclear Energy Companies to Share Technological Information with Saudi Arabia,” Washington Post, March 28, 2019. Tom DiChristopher, “Trump Administration Oks Nuclear Energy Transfers to Saudi Arabia, Sparking New Battle with Congress,” March 29, 2019. Zeeshan Al-Aleem, March 26, 2018. “IAEA Calls on Saudi Arabia to Provide Assurances for Nuclear Reactor,” Middle East Monitor, April 8, 2019. Leia Klingel, “Westinghouse Emerging from Bankruptcy, Will Pursue Foreign Sales,” Fox Business, June 27, 2018.